The ski resorts and their ski schools offer private and group lessons to get you up to speed on the slopes. 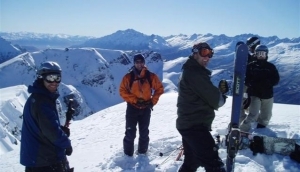 There are also a number of specialist ski guide companies that will offer private lessons, a guide to take you to the best runs in the region, transport and more. Some operators will also provide climbing and trekking options in the mountains.